Three local, state and nationwide events bought members of the University Senior College (USC) community together during August and September. 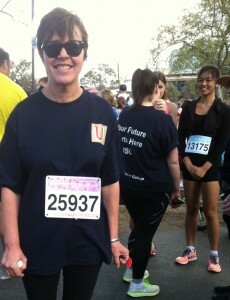 the Sunday Mail’s City to Bay Fun Run with staff, students and USC parents. Teamwork, generosity, kindness, perseverance, gratitude, creativity, industry and energy were just some of the signature character strengths I saw in many of USC community members. (If you would like to explore your own character strengths, click on this link and complete the reputable survey). Below I have included some student summaries of the three events. Recently I have had the opportunity to participate in charity events which the College community has organised. One of these is the World Vision 40 Hour Famine. This year, ten students and teachers gave up privileges to assist World Vision achieve their goal of supporting villages in Malawi, Africa. Traditionally the Famine focussed on foregoing food, but has now broadened its scope, encouraging participants to give up other items they rely on. While the teachers went without food for 40 hours, many of the students took a more creative approach. Furniture, technology and transportation were among the mix, creating a unique range of famines for the College community. 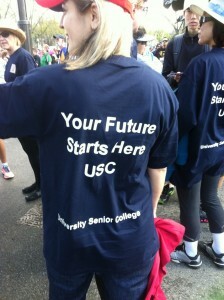 Last Sunday on the 15th of October, 30 members of the USC community participated in the Sunday Mail City to Bay Fun Run. The event catered for a range of athletic abilities. Participants could choose to engage in a 6km walk or run, or go that bit further and choose to run or walk the entire 12kms. Earlier in the morning the weather seemed gloomy and unforgiving, but as soon as the runners took off, the weather unexpectedly turned into perfect conditions for a Sunday morning workout. 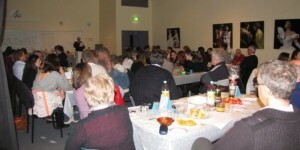 This entry was posted in Achievements, Local News, News and tagged City to Bay Fun Run, USC, USC Community, USC Quiz Night. Bookmark the permalink.